Nanoparticles (gray) can “hitchhike” a ride on red blood cells (red) to avoid detection by the liver and deliver higher doses of drugs for a longer period of time than free-floating nanoparticles administered via the blood. When Samir Mitragotri entered the University of Mumbai as an undergraduate in the late 1980s, there was only one academic option for students in the technology track: chemical engineering. Today Mitragotri is, appropriately, the Hiller Professor of Bioengineering and Hansjörg Wyss Professor of Biologically Inspired Engineering at the Wyss Institute and the Harvard John A. Paulson School of Engineering and Applied Sciences. Biological barriers exist at multiple levels in our bodies. The outermost barrier is our skin, which keeps precious moisture (and all of our innards) in and harmful foreign invaders, from viruses to insects to the sun, out. Inside the body, the junctions between the cells that make up our arteries, veins, and capillaries form a barrier that keeps our blood flowing through our vessels rather than seeping everywhere. Our stomachs are filled with acid that kills and dissolves pathogens in our food. And our immune systems function like police forces that recognize, seek out, and destroy harmful bacteria, viruses, parasites, and even cancer cells. Understanding how these different kinds of barriers work, and how to potentially control the flow of molecules across them, is what gets Mitragotri out of bed in the morning. Many pharmaceutical drugs are small molecules taken orally as a pill or liquid, and are absorbed into the body through the gut. The drug landscape, however, is beginning to shift to biological products such as vaccines, gene therapies, and recombinant proteins, all of which would be destroyed by the stomach and must be injected directly. In attempting to bypass the barrier of the gut by injecting them into the blood, however, these drugs run into new enemies: the liver and the spleen, which together form a kind of dynamic barrier that keeps harmful substances out of the body. Beginning more than a decade ago, Mitragotri and colleagues at University of California, Santa Barbara, attached nanoparticles to the red blood cells of rodents and reintroduced the cells into the rodents’ bloodstreams. Almost miraculously, the rodents’ macrophages ignored the nanoparticles and treated the red blood cells normally, allowing them to remain in the blood rather than being cleared by the liver. “That was the first victory,” Mitragotri recalls. Eventually, the nanoparticles disappeared from the circulating blood, but the red blood cells did not. “Where did the nanoparticles go? 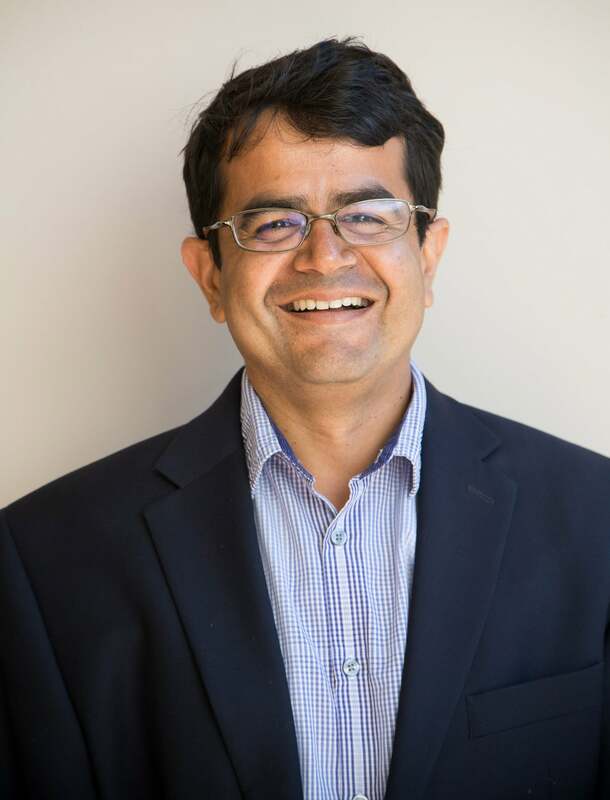 In recent studies in collaboration with researchers from the University of Pennsylvania, we figured out that they got squeezed off the red blood cells in the capillaries, which are smaller in diameter than the blood cells themselves,” says Mitragotri. When the red blood cells were squeezed through those capillaries, the nanoparticles sheared off and got deposited in whatever organ the capillaries happened to be in. By changing which blood vessel the red-blood-cell-bound nanoparticles were injected into, the researchers could ensure that the nanoparticles would end up in whatever organ was downstream of the injection site. When the researchers introduced the “hitchhiked” nanoparticles into the carotid arteries of mice, 10 percent of them ended up in the brain compared with 1 percent when injecting nanoparticles by themselves — a 10-fold increase in delivery efficiency. In addition to the many potential applications of attaching nanoparticles to red blood cells, Mitragotri’s lab is also investigating hitchhiking them onto monocytes, the cells that differentiate into the macrophages that actively fight diseases like cancer. “Monocytes will eat nanoparticles if you try to attach them directly, so we had to figure out how to overcome that problem,” says Mitragotri. “We discovered that monocytes care a lot about whether particles are round or disk-like, and hard or soft. 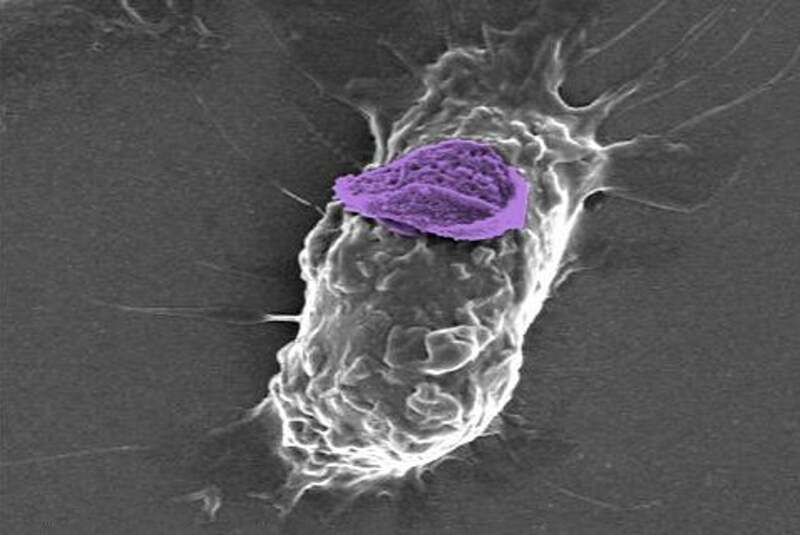 It turns out they can’t internalize disk-shaped, soft nanoparticles, so that’s what we made.” The monocytes came after those nanoparticles with a vengeance, as expected, but then simply held them on their surfaces without engulfing them. When the researchers induced monocytes with these “backpacks” to cross an endothelial barrier mimicking a blood-vessel wall, the monocytes carried their backpacks along with them, providing an effective transport method for delivering drugs to their target tissues. Experts and leaders in the fight against malaria gather at Harvard Business School.